UTAH DEPARTMENT OF CORRECTIONS, Respondent. By this appeal, Petitioner, Wesley Thompson, appeals a denial from Respondent, the Utah Department of Corrections (“UDC”), of his request for records pertaining to his Correctional Adjustment checklist and life history documents used by correctional officers to determine with which other inmates Mr. Thompson can be housed. On or about October 7, 2011, Mr. Thompson submitted a records request to UDC pursuant to the Government Records Access and Management Act (“GRAMA”). Mr. Thompson asked for copies of documents pertaining to him including the Correctional Adjustment Check List (“CACL”) and the Correctional Adjustment Life History (“CALH”). His request was denied by the Division of Institutional Operations, Utah Department of Corrections on or about November, 14, 2011. The Division of Institutional Operations informed Mr. Thompson that the requested records were protected pursuant to Utah Code § 63G-2-305(12) as “records that, if disclosed, would jeopardize the security or safety of a correctional facility, or records relating to incarceration, treatment, probation, or parole, that would interfere with the control and supervision of an offender’s incarceration, treatment, probation or parole.” The denial further stated that Mr. Thompson had failed to show that he was entitled to access the documents pursuant to Utah Code § 63G-2-202(4) which allows disclosure of protected records to the person who submitted the record. Mr. Thompson filed an appeal with Mike Haddon, Deputy Director of the UDC. In a letter dated November 21, 2011, Mr. Haddon denied the appeal finding that the records were protected pursuant to Utah Code § 63G-2-305(12) and that Utah Code § 63G-2-202(4) did not apply to Mr. Thompson’s request. Mr. Thompson now appeals to the Utah State Records Committee (“Committee”). The Committee, having reviewed the arguments submitted by the parties and having heard oral argument and testimony on February 15, 2012, now issues the following Decision and Order. 1. The Government Records Access and Management Act (“GRAMA”) specifies that “all records are public unless otherwise expressly provided by statute.” Utah Code § 63G-2-201(2). Records that are not public are designated as either “private,” “protected,” or “controlled.” See, Utah Code §§ 63G-2-302, -303, -304 and -305. 2. Utah Code § 63G-2-305(12) classifies “records that, if disclosed, would jeopardize the security or safety of a correctional facility, or records relating to incarceration, treatment, probation, or parole, that would interfere with the control and supervision of an offender's incarceration, treatment, probation, or parole” as protected records. 3. 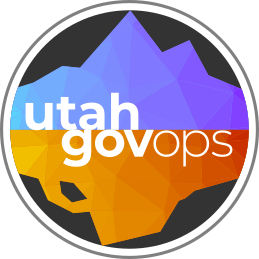 Utah Code § 63G-2-202(4) permits disclosure of a protected record if the requestor is the person who submitted the record. 4. Utah Code § 63G-2-202(1) requires a government entity, upon request, to disclose a private record to the subject of the record. 5. The UDC presented testimony that disclosure of the subject records would interfere with the supervision of offender’s incarceration or treatment in that there is a potential that the safety of correctional officers and inmates would be jeopardized. 6. After reviewing the arguments submitted by the parties and hearing oral arguments and testimony, the Committee is convinced that the UDC correctly classified Mr. Thompson’s CACL and CALH records as protected pursuant to Utah Code § 63G-2-305(12) because if released, the records would jeopardize the security or safety of a correctional facility or would interfere with the control and supervision of an offender’s incarceration. Utah Code § 63G-2-202(4) does not apply because Mr. Thompson did not submit the requested record and Utah Code § 63G-2-202(1) does not apply because the records were not classified as private records. THEREFORE, IT IS ORDERED THAT: the appeal of Wesley Thompson is DENIED. Either party may appeal this Decision and Order to the District Court. The petition for review must be filed no later than thirty (30) days after the date of this order. The petition for judicial review must be a complaint. The complaint and the appeals process are governed by the Utah Rules of Civil Procedure and Utah Code § 63G-2-404. The court is required to make its decision de novo. In order to protect its rights on appeal, a party may wish to seek advice from an attorney. Pursuant to Utah Code § 63G-2-403(14)(d), the government entity herein shall comply with the order of the Committee and, if records are ordered to be produced, file: (1) a notice of compliance with the records committee upon production of the records; or (2) a notice of intent to appeal. If the government entity fails to file a notice of compliance or a notice of intent to appeal, the Committee may do either or both of the following: (1) impose a civil penalty of up to $500 for each day of continuing noncompliance; or (2) send written notice of the entity's noncompliance to the Governor for executive branch entities, to the Legislative Management Committee for legislative branch entities, and to the Judicial Council for judicial branch agencies’ entities. Entered this 23rd day of February 2012.